On March 22 at 4 pm a new episode of “An Open Church” program is available. We continue a set of programs about social justice. Topic of the nearest episode is “Wealth and poverty”. How Church differentiates these two issues? What prevents Ukrainians from becoming wealthy? And whether Ukrainians are that poor as they believe to be? 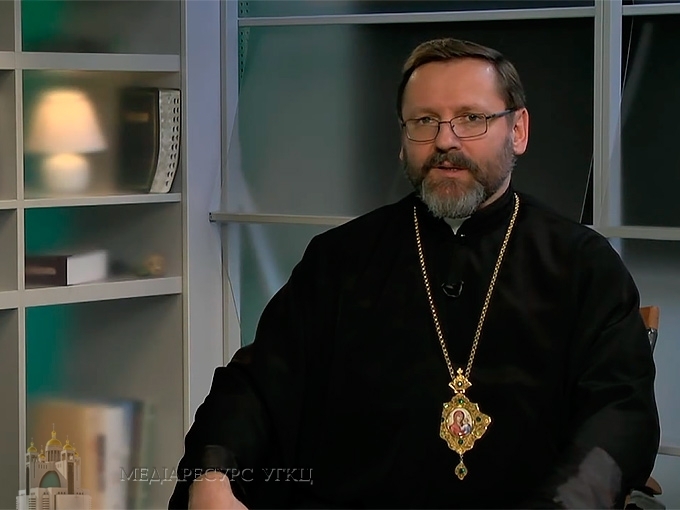 These and many other points are going to be discussed with Head of UGCC His Beatitude Sviatoslav live. Questions to Head of UGCC might be left as comments on Zhyve.tv Facebook page or sent them via email on editor’s email box zhyveproject2016@gmail.com. We remind that in January’s program, live on January 17, a new rubric was set “Relevant questions to His Beatitude Sviatoslav”. If you want to know what Head of Church thinks or how he comments a particular event, problem or some phenomenon in life of our society – make up your questions. You get your feedback during the next live program. His Beatitude will be put a question which gets the biggest amount of “likes” from Facebook users. A choice is made by the audience. “An Open Church” is an interactive project of Zhyve TV. Every time we bring up a new and important topic for society and with His Beatitude Sviatoslav try to search for clues. You will hear an expert’s opinion, the result of the recent social polls, as well as interesting facts from life of Head of Church said first hand. The highlight of our program is a frank interactive dialogue with the audience, where everyone can put a question and get a prompt response.